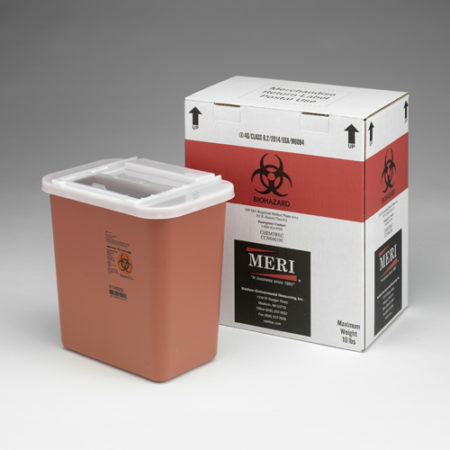 MERI’s 5-Quart Sharps Disposal System provides a safe place for employees and customers to discard infectious waste such as needles and lancets after a diabetic or allergy injection. 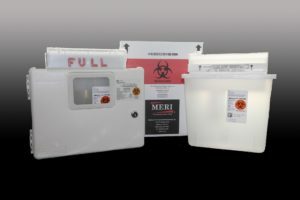 Simply hang MERI’s lockable 5-Quart Covidien sharps wall enclosure in your facility’s restroom or first aid room. 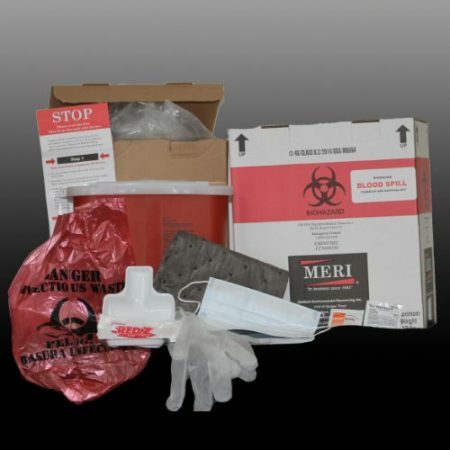 Then, use the accompanying MERI Medical Waste mailback kit to replace and properly dispose of the sharps insert when it’s full. * Prepaid return shipping box to send waste via U.S. Postal Service. 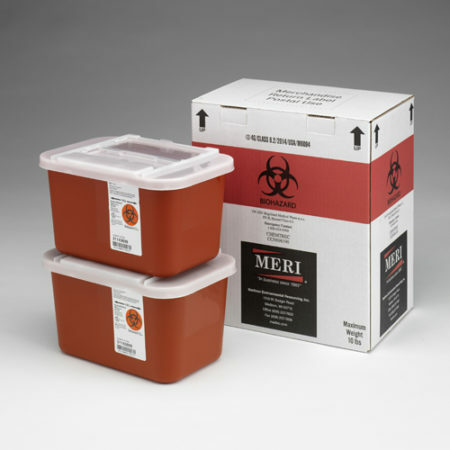 MERI’s 5-Quart Sharps Disposal System provides a safe place for employees and customers to discard infectious waste, such as needles and lancets. Simply hang MERI’s lockable 5-Quart Covidien sharps wall enclosure in your facility’s restroom or first aid room. 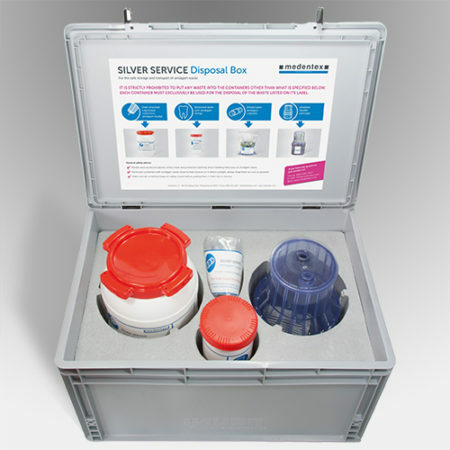 Then, use the accompanying MERI Medical Waste mailback kit to replace and properly dispose of the sharps insert when it’s full.